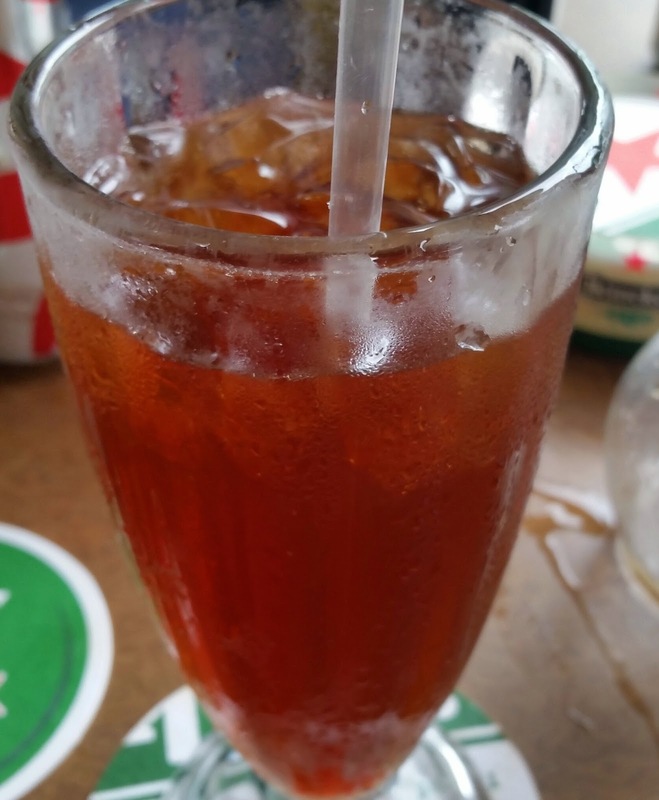 This adventure of Excited about Eating takes you through the Southern Caribbean where we visited three different restaurants for lunch during a seven-day cruise that left from San Juan, Puerto Rico. 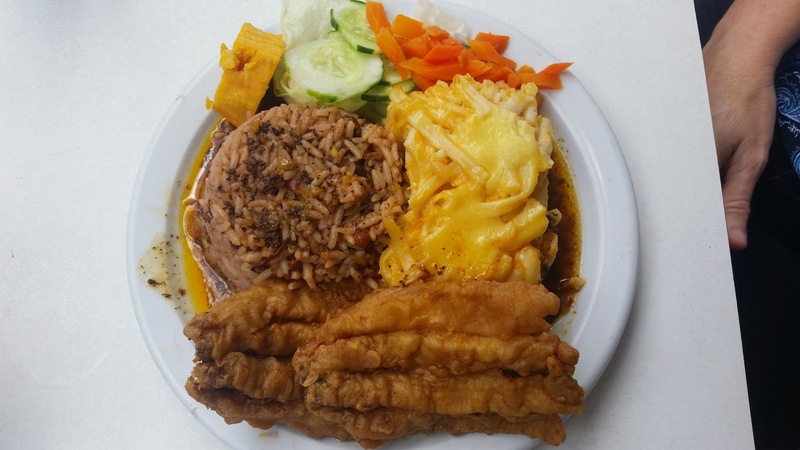 St. Thomas: Cuzzin’s Caribbean Restaurant was off the beaten path, about a 30-minute walk from the ship. If some kind soul hadn’t taken pity on our sweaty, tomato-red faces and given us directions, we’d have missed it. The calamari appetizer was excellent, crisp and fresh, with just the right amount of chew, and the dipping sauce was sweet with a tiny tang from the combination of pineapple, mango, tamarind and barbeque. 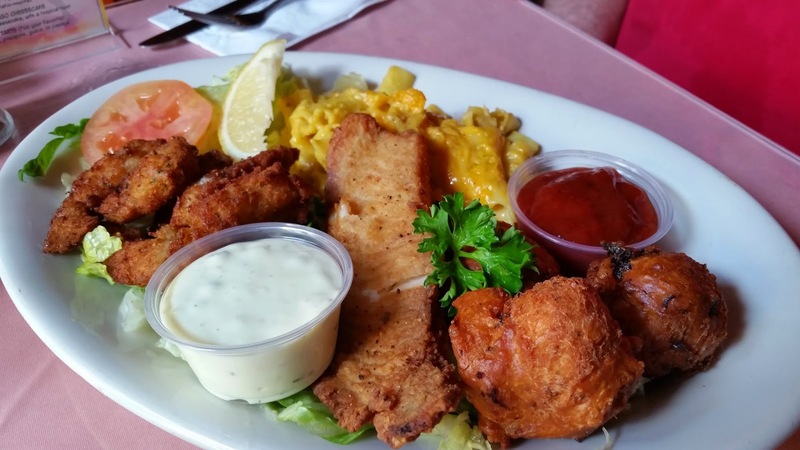 We shared the Fried Seafood Combo which included fish filet, shrimp, and conch fritters with sides of mac and cheese and fried plantains. The seafood was cooked to perfection, flaky with a light batter that allowed the true taste of the seafood to come through. The conch fritters were not sweet or doughy like my wife prefers, but savory and very good. The mac and cheese had an unidentifiable spice and when we asked, the server would not give up the secret. Both the mac and cheese and plantains were equally good. I would rate this restaurant 4 forks out of 5. 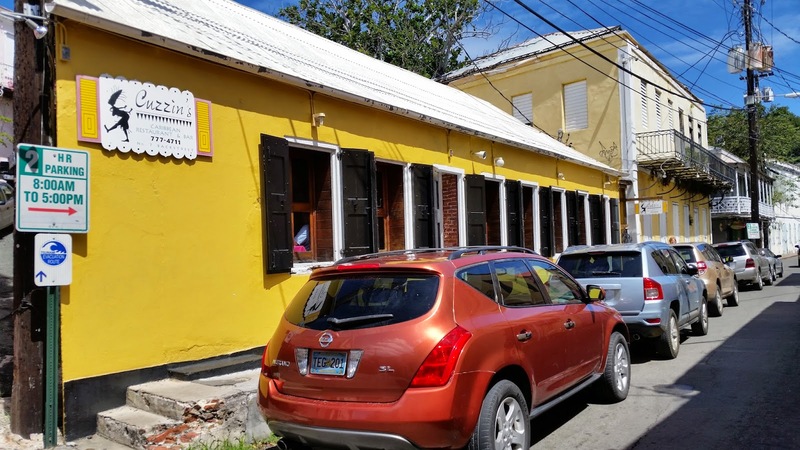 Barbados: Mustor’s Restaurant was a 20-minute walk from the ship dock, and from what I’d read, appeared to be a local favorite. We shared the large portion (read HUGE!) fried Flyin Fish entrée, Field Peas with Rice, and Macaroni Pie, and had no problem sharing this meal. Barbados is known as “the land of the flying fish” and it is the national symbol of the country. The fish was good, not fishy tasting but also not real crispy like I prefer. The field peas and rice were juicy and full of favor, and appeared to have been cooked together. The Mac Pie was really good, a thick piece, made from noodles that resembled elbow mac straightened out. Although they don’t accept charge cards, they do accept US dollars. No atmosphere and no a/c unless you consider the open air balcony. I would rate this restaurant 3 forks out of 5. 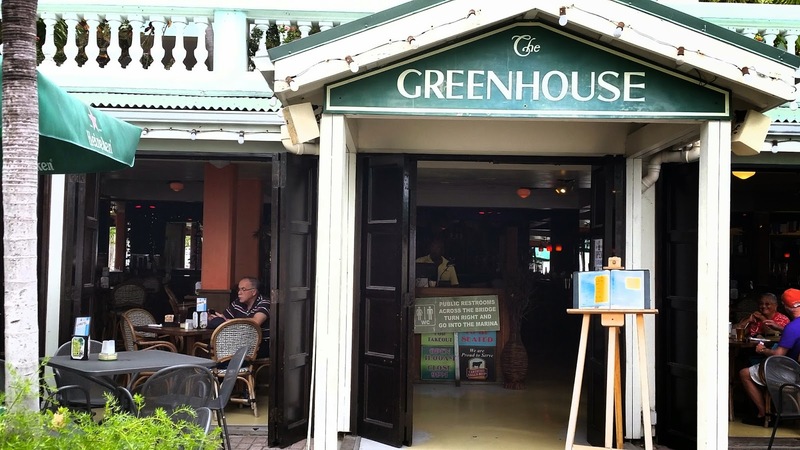 St. Maarten: We took the water taxi to Greenhouse Restaurant, which offered true Caribbean spirit with their beachy, open air environment in clear sight of the breaking waves. I chose the Fish Taco Platter, consisting of two soft tacos, filled with fried basa vina served with lettuce, fresh cilantro, jack and cheddar cheese, salsa, ranch dressing and onions. The basa vina fish are not native to the Caribbean but are imported. The tacos were huge, with flavor to match their size. The fish was crispy and tender and all of the ingredients melded together. The fresh cilantro set these fish tacos above others I have had. They were served with Fried Plantains and fries, also tasty. 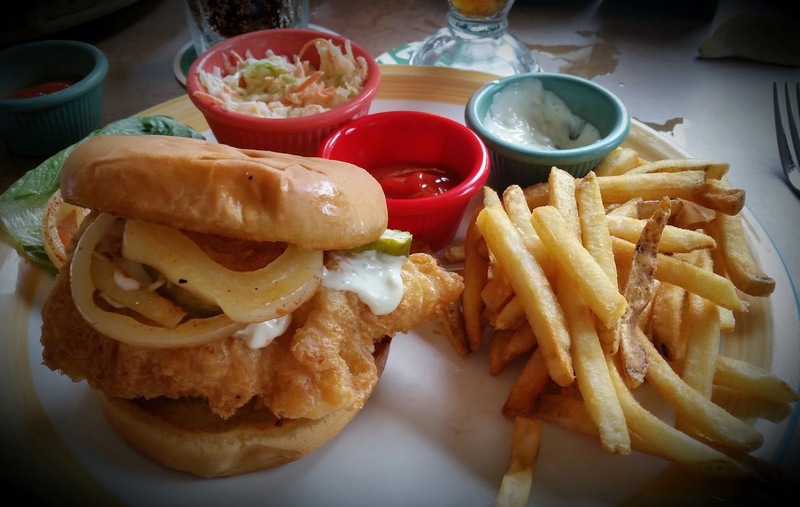 My wife ordered the Fried Fish Sandwich using the same basa vina white flaky fish, but beer-battered, along with fries and cole slaw. lol. Seriously, folks, Greenhouse offered a perfect atmosphere paired with fantastic flavors and a breeze that kissed our cheeks. Who could ask for more from a restaurant? Some good sounding food. Enjoy reading about your eating adventures. Thanks Ann, we enjoy sharing our adventures with everyone.